Many parents look to private schools as an alternative to public schools. Although there are various factors that affect that decision, a large influence is that most public schools today have overcrowded classrooms. As private schools increase in popularity, they are often faced with space and volume constraints as well. What should these private schools be considering when they choose to increase their capacity to handle the influx of additional students? When a school’s enrollment exceeds the design capacity of its facility, student academic performance declines along with the “enjoyability” of school for faculty, students, and parents. Overcrowding is one of the biggest challenges facing teachers today. The devastating effects from such classrooms impact much more beyond our children’s ability to learn. They also can impair the psychological well-being of both teacher and student, create unsafe environments, and ultimately diminish the potential of our children’s futures. According to teacher surveys in Washington, D.C. and Chicago public school systems, there is a relationship between facility conditions and teachers’ ability to deliver the curriculum. The quality of school facilities affect the likelihood of teachers continuing to work at a given school and even staying or leaving the field of education (Buckley, Schneider, and Shang 2005; and Earthman and Lemasters 2009). Although it is evident that a school’s physical facility does have an impact on the welfare of everyone involved, the building is rarely evaluated for its utilization, condition, or design. Both students and teachers perform better in quieter classrooms, where they do not have to strain to hear or be heard. The amount and quality of lighting in school buildings plays an important role in learning. Sufficient lighting (especially sunlight) helps to improve student energy levels, concentration, comprehension, and positive learning outcomes (Heschong, Elzeyadi, and Knecht 2002). Clean air lowers teacher and student absenteeism by reducing incidences of asthma and allergies. Another factor that School Facilities Directors must consider is the timing of an expansion project. Timing is critical, especially when it is possible that children and staff will be present for on an ongoing construction project. It is also matters when a school relying on the tuition dollars from incoming students is short on time and must have a seat for those students when classes begin! 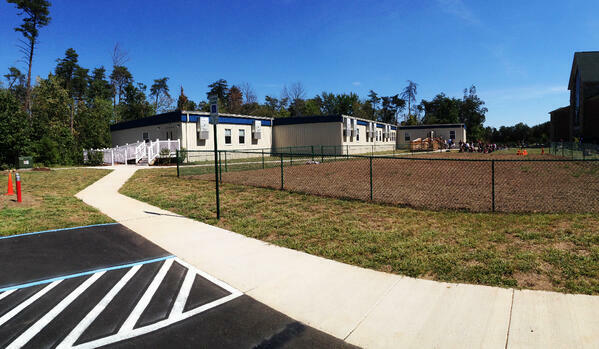 Many Facility Directors use the process of modular construction to ensure that their classroom projects are done quickly with little disruption to the site and its operation. It’s also important to work with a contractor who is familiar with modular construction. Modular building projects happen in half the time of conventional construction. That means processes are tight and streamlined. Materials are the exact same, but because foundations and site preparation are done at the same time the building is being constructed in the factory, it takes a modular building expert to know how to coordinate those two activities. For more information on how to build a permanent or temporary school using modular construction, click the button below.